Extra Virgin Olive Oi. The best olive oil available with a thickness and aroma that you can enjoy. 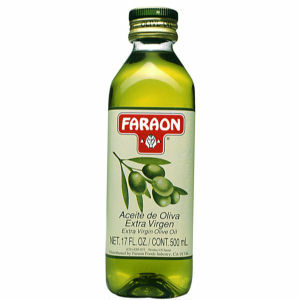 Faraon packs the best olive oil available from Spain. No blends , no additives. Simply pure 100% olive oil extra virgin.